I've been working on a really fun video recreating the über popular deer and flower crown Snapchat filters (coming soon to Ogle School's YouTube channel), and I decided to create my own headpiece to complete the look. Really, I got the idea when I couldn't find any cute ones anywhere. At first I was so frustrated at the lack of options, but then I remembered one of my mottos. When no one has created with you in mind, create your own. I've always have a knack for making my grandiose ideas come to life through arts and crafts, so I wanted to share the process for my latest creation. Give it a try! 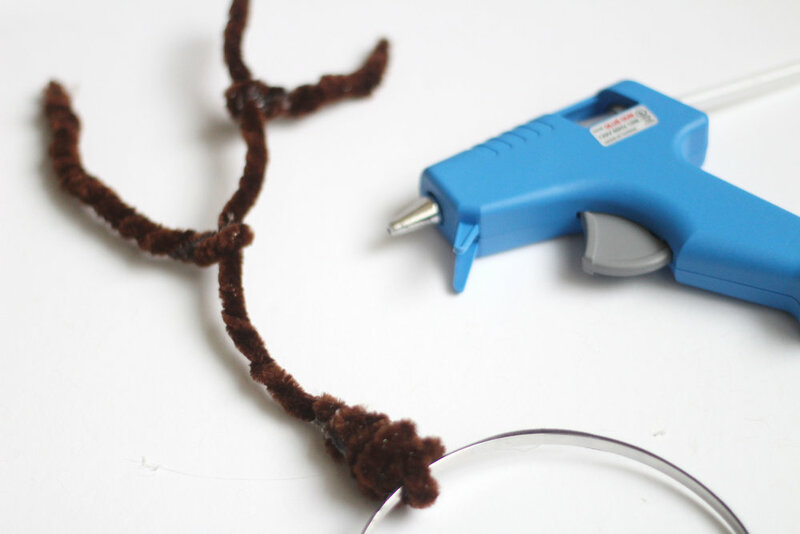 Twist pipe cleaners together to create the shape of your antlers. Get creative! Use hot glue to bind them, if needed, and attach to the headband. 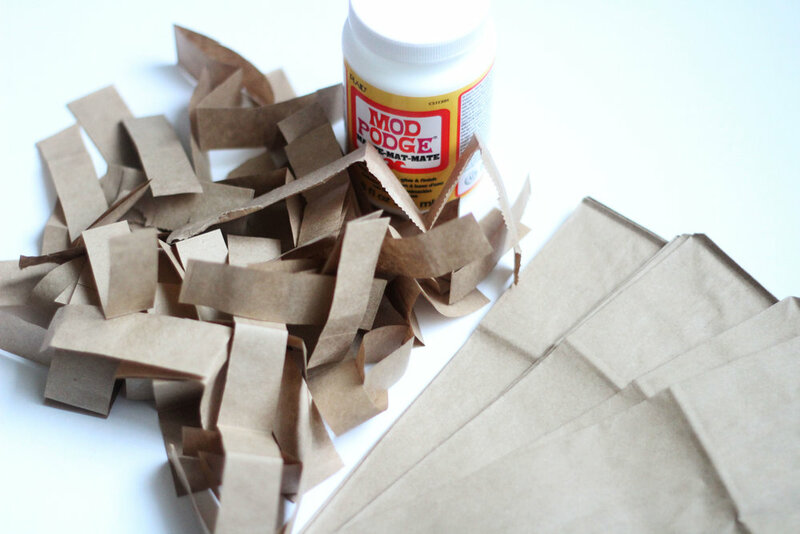 Cut brown paper sacks into several strips. These will create the paper mâché foundation with the Mod Podge. Pour matte Mod Podge onto a paper plate. Do not pour all of it as it will solidify as it is handled. Fully dip each paper strip into the Mod Podge. Begin wrapping the pipe cleaner foundation until antlers are completely covered. Wait for Mod Podge to completely dry overnight. 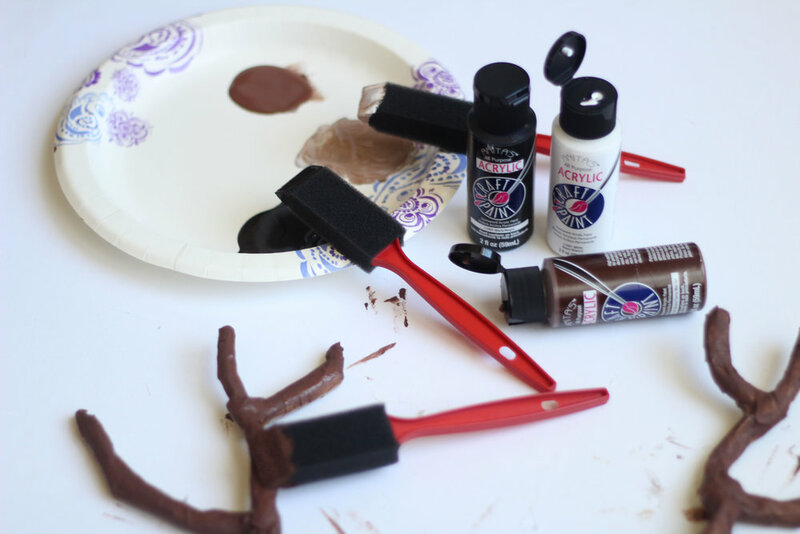 In the morning, paint the antlers with the brown acrylic paint. Mix with black to create a deep brown and white for light brown. Continue painting with soft, strategic strokes for a more realistic look. This is how your antlers should look after they're painted. Hot glue a pre-made flower crown or individual flowers along the entire front of the headband. Any additional decorations can be attached to the flower crown at this time. 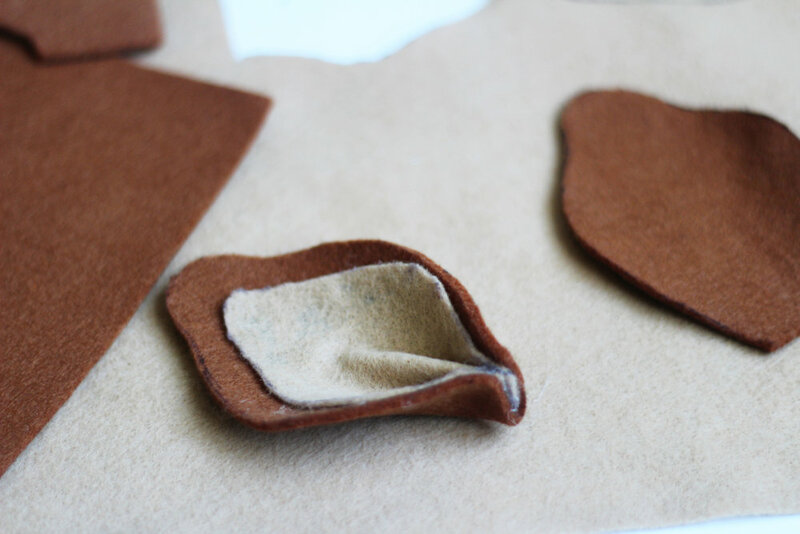 Use felt to create two ears for your headband, then use hot glue to attach them. Add deer spot marking on the ears with white acrylic paint for a fun touch. 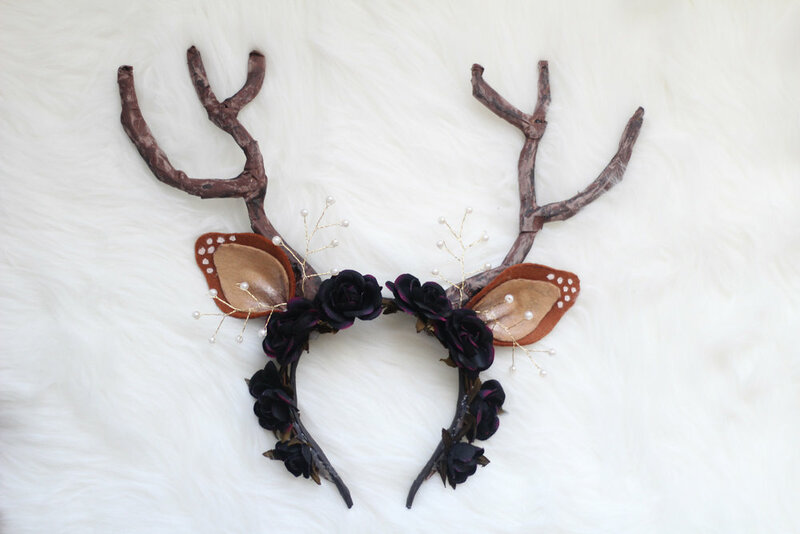 Once the hot glue has cooled down, you're ready to wear your handmade deer ears/flower crown headband!